Wanna join the happiness bus with me today? I’ve got a few photos from my recent walk to share. Photos of things that makes me happy! 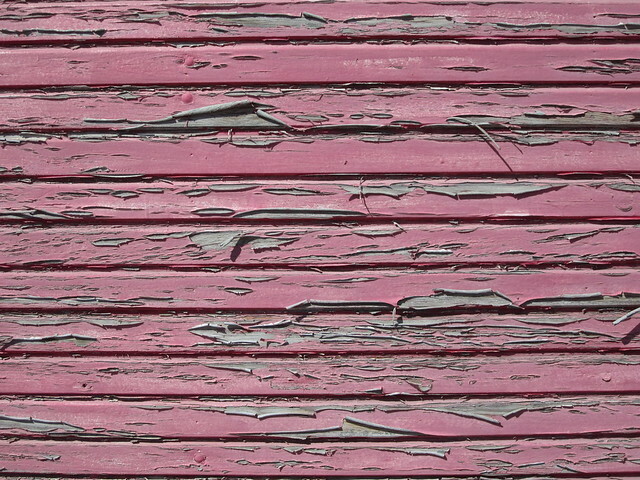 I was out walking and brought my pink Ixus camera. I didn’t hop on the flower power bus but I snapped a photo so I could share it with you. Doesn’t it look like a happiness buss to you too? 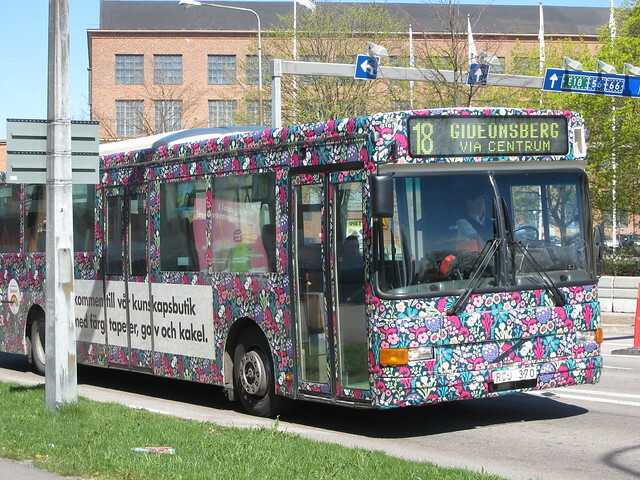 It’s a regular buss covered in flowers, a commercial for a paint store brand. I wish all buses would look like this, it sure would brighten my commute hours. 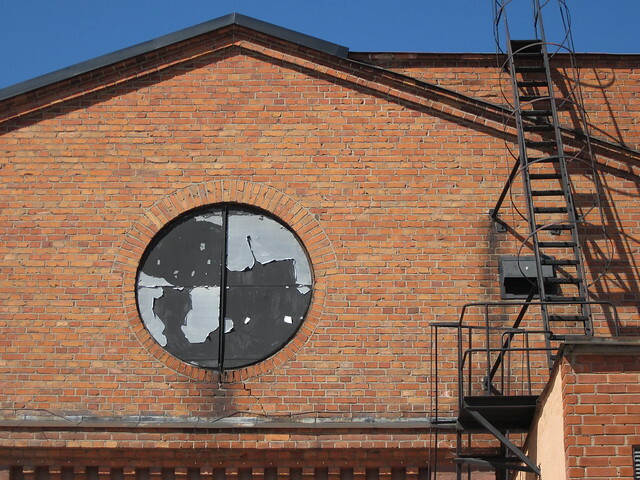 A boring, closed off window – or a globe with a hidden map? I see what I see. Just sayin’. 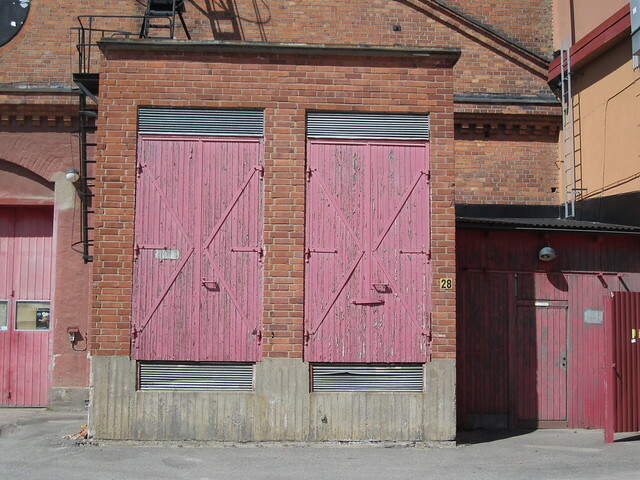 Pink doors that was probably red once upon a time… I wonder where you will end up if you could enter? I took a closer look, and oh how pretty and wabi-sabi they are. 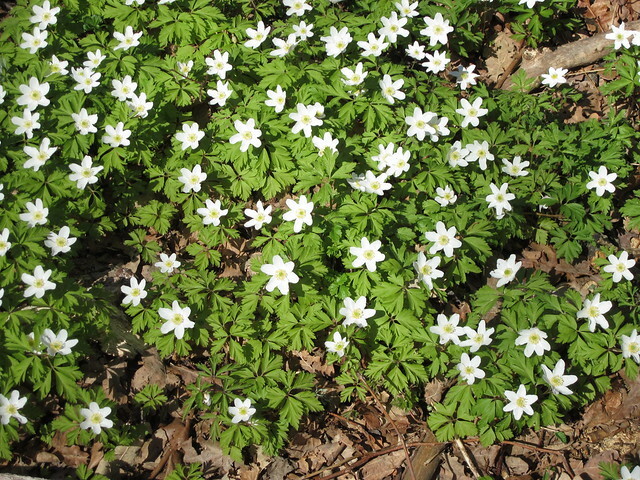 The ultimate spring evidence! Now one again covering the ground with its white little heads. I love you, dear vitsippa. 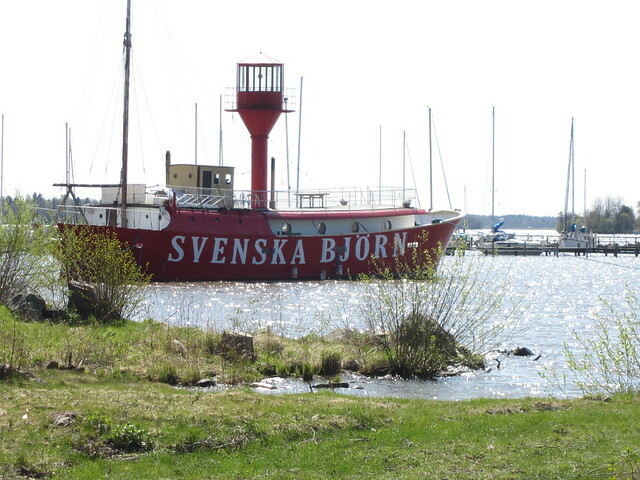 Passing another cool vehicle called The Swedish Bear, with colours from the Danish flag. And then, taking a break before heading back home again. I’ve gotta go, kids! I bet you have explorations of your own to do now. This entry was posted in Photography and tagged happiness, out walking, urban sightseeing. Bookmark the permalink. Happy Exploring, Talented One ! What fun photos…especially that BUS…love it! That’s quite a step down from those pink doors, too. 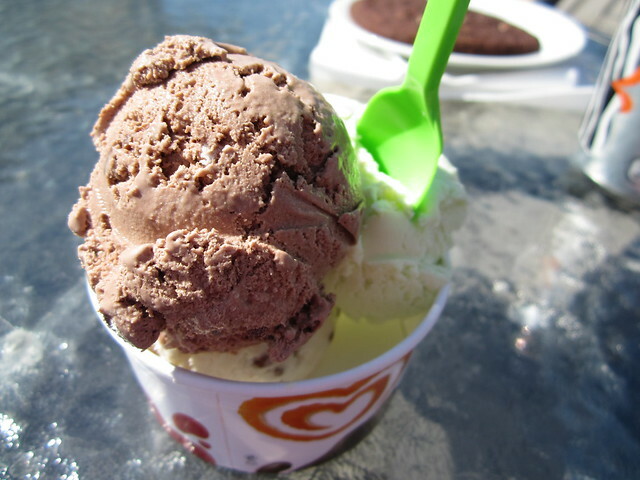 It’s a perfect time of year for ice cream…enjoy! In early morning(4 am) or in early evening(7 pm) I love to walk(well, for me it is a kind of sport). While walking, it is a great pleasure to observe everything, from the most beautiful into the ugliest one. But yes, I seldom taking photographs, since I am not good at taking any photo. Learning other people experience through photos like this is very enlightening. It is quite similar by enjoying sketches. I also love the bus, but those pink doors grabbed me. They are two faces and they are flirting with each other!! It must really be Spring!